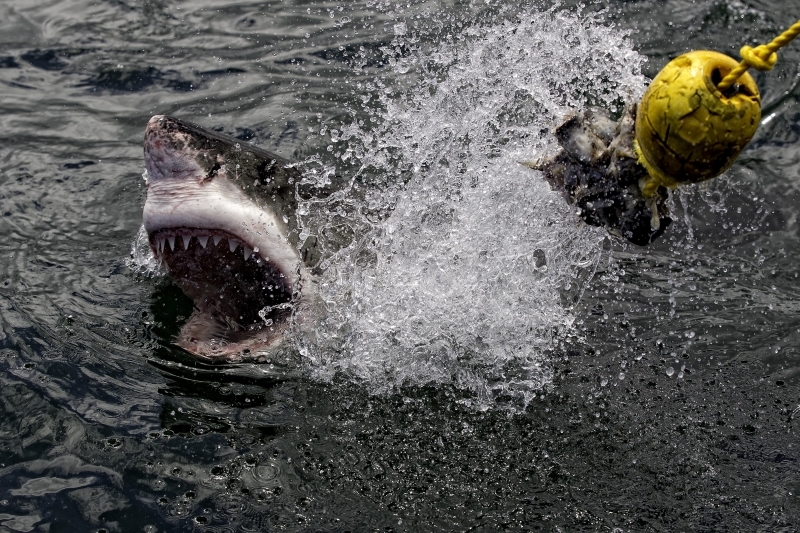 Great White shark research off the coast of South Africa. This fish was nearly 15 feet long and was leaping 5 feet out of the water. Taken by Paul Todd. Paul Todd is a former professional sailor and one of the founding member of Outside Images picture agency in 1993. Originally from New Zealand, he spends much of his time traveling around the world shooting regattas and sailing offshore for commercial clients. Paul was one of the official photographers for the Louis Vuitton Trophy that took place in exotic locations around the world and was named as one of the official photographers for the Volvo Ocean Race 2011/12. www.volvooceanrace.com The photographer's who work with Outside Images are sending in new content every week and Paul works with them to publish their images. Paul has also been busy opening up the new Outside Images office in Alicante, Spain. Outside Images has offices in Alicante . San Diego and Camden, Maine.